Today’s shale revolution goes well beyond an increased supply of energy at home. Granted, the energy changes taking place in the US have not necessarily been good news for the “petro-states.” Nations that rely on petroleum production to support their economies are never happy to see a dominant new player in the market. They can’t be happy to see their imports to the US dwindling, either. 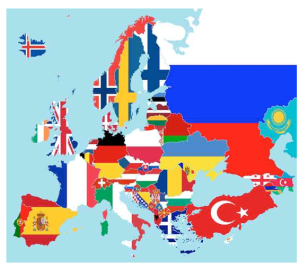 A number of European nations, on the other hand, stand to benefit immensely from our shale revolution. Essentially, the proliferation of shale products has allowed us to ease our dependence on importing petroleum and petroleum-based products. And we’re evolving from being a major importer of natural gas to moving toward the role of exporter. Some US natural gas is exported to Canada and Mexico via pipeline now, and proposed facilities would export to Asia and other continents. These billion-dollar liquefaction terminals condense natural gas into liquefied natural gas (LNG) by cooling it to about 260 degrees below zero before shipping it via tankers. More than 30 facilities have applied for US Department of Energy permission to export to countries that haven’t signed a Free Trade Agreement with the US. Since May 2011, six of them have received conditional approval. And one, Houston-based Cheniere Energy’s Sabine Pass Liquefaction terminal in Cameron Parish, Louisiana, has received the final construction go-ahead from the Federal Energy Regulatory Commission. It’s slated to begin operation next year. “If you go back to 2003, for example, there were 47 terminals that had received certification to import liquefied natural gas,” Medlock said during a recent phone interview. 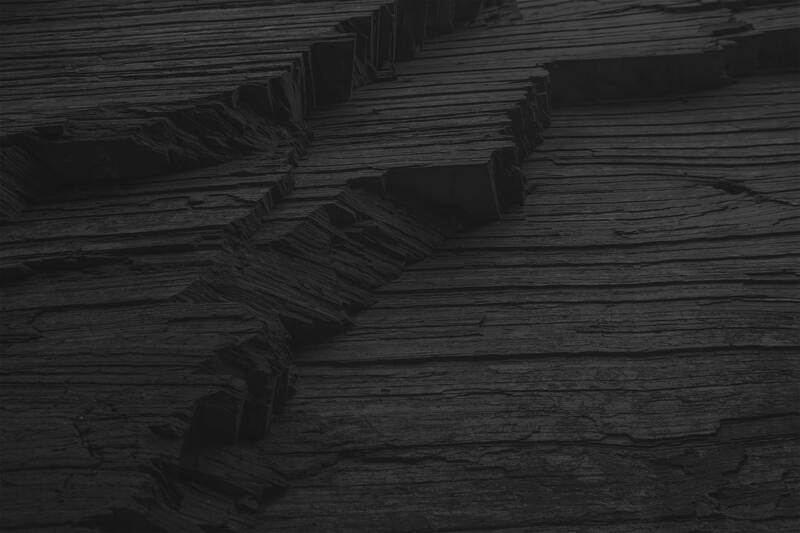 “In a decade, we’ve completely turned that around, and that’s all because of shale. 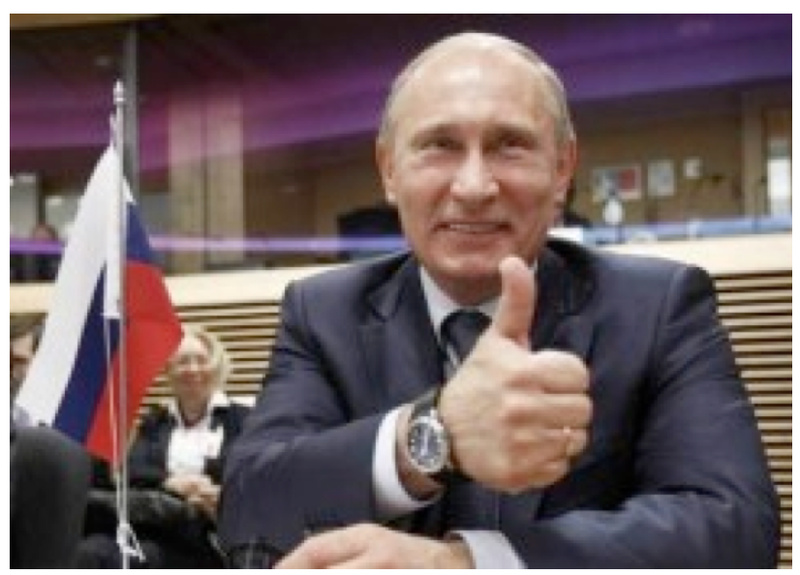 Will US shale change Russian President Vladimir Putin’s rosy outlook? Currently, Europe imports about 80% of its oil and 60% of its natural gas, fully one-third of which comes from Russia alone. And some Eastern European countries import even more. For years, this dependence on Russian energy has enabled this superpower to bully consuming nations by limiting their access to natural gas. But now? Not so fast… With the influx gas from different sources – namely from US shale fields – these bully tactics might become a thing of the past. The idea of lessening Russia’s dominance in natural gas exports has taken on a new sense of urgency in light of Russia’s aggression against Ukraine and its takeover of Crimea in early spring 2014. Read our in-depth analysis of this situation. But, indirectly, shale might now be giving European nations a stronger position at the Russia-dominated bargaining table. By displacement, Medlock said, US gas volumes will be affecting the European gas market. “The really important thing in all of this is: it’s not being driven by a policy. It’s really being driven by commercial interests trying to “capture the flag,” so to speak, to get the highest price they can. They make investments to try to move into the market, and what that does is it releases volumes and changes the competitive landscape. In a roundabout way, Europe may also benefit from our LNG exports to Asia as well. The harsh winter in the Northeast is a perfect example. Prolonged, extreme low temperatures drove up demand for gas, which was moved into the region by pipeline. “When you run out of pipeline, prices tend to blow out,” said Medlock, who saw natural gas prices spike to $100 (a million BTUs) in Boston during that time, while they held below $5 in warmer regions of the country. Startling differences in energy prices could be nearing an end. Increased supplies of natural gas on the global market could have a significant impact on European energy prices as well – and their stature as a worthy global adversary. The easy availability of shale gas has played an important role in lowering the US electricity prices – and widening the gap between the US and European gas prices. 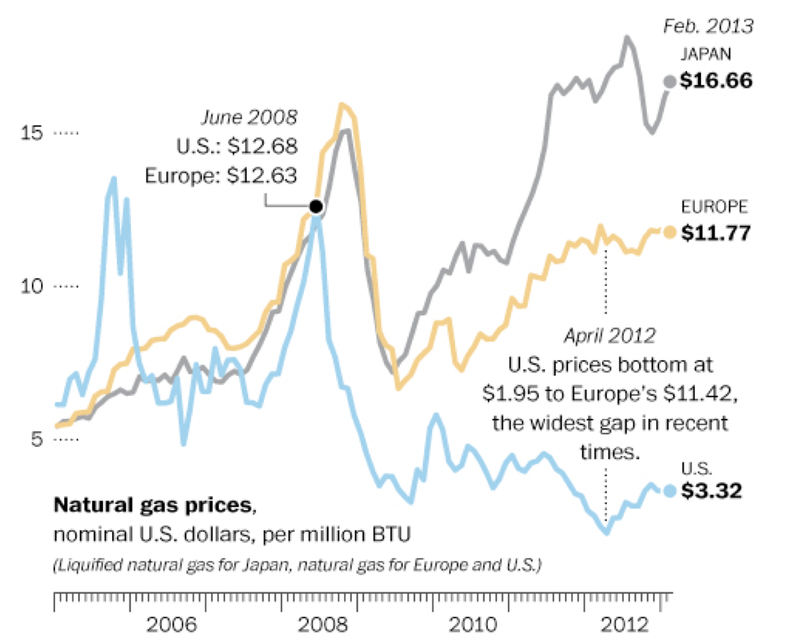 Consider this: In 2012, industry gas prices in the US were about a quarter of those in the EU. Real electricity prices in European countries increased 37% between 2005 and 2012, while those stateside actually dropped 4% during the same time period. This current price differential between Europe and the US is a serious problem that’s been undermining Europe’s ability to compete globally. Johannes Teyssen, the chief executive of German utility E.O said during a fall 2013 interview with the Financial Times that heavy industry might even be forced to quit Europe. But shale might be just the opportunity to turn that dynamic around. The European Commission expressed optimism in January over a narrowing price differential between North American and European gas. “European prices will get closer to North American ones, as soon as shale gas imports will be available,” Natural Gas Europe reported. A number of European countries have shale gas and oil reserves of their own, but analysts have quashed the enthusiasm. A variety of factors make it unlikely that Europe will experience the kind of shale revolution taking place in the US. In fact, some 50 exploratory shale wells have been drilled in all of the EU so far – compared with the 130 US shale wells drilled each month in the decade up to 2010. And the county with the largest European reserve – France – has banned the process of hydraulic fracturing (“fracking”) for extracting the gas due to environmental concerns. “While Europe retains deep environmental concerns it also acknowledges that with the price of gas in the United States just a third of that in Germany, its industry is already suffering the effects,” a February 2013 Reuters article notes. As such, European Union Commissioner Guenther Oettinger said last year that Europe should at least get in a position to produce enough shale gas to replace its shrinking conventional gas reserves and ease its dependent on imports. And Poland, at least, is clearly getting into position. There is intense interest in fracking in Poland, which has one of Europe’s largest shale reserves. The nation stands to gain much ground by developing its own shale – from billions of dollars in foreign investments to hundreds of thousands of jobs to boosting its chemical sector. Poland could even grow into an exporter of natural gas – a move that would not only reduce its dependence on Russian fossil fuels but also reinforce its ties to the US. “Europe is working very decisively to reduce its energy dependency,” Jose Manuel Barroso, president of the European Commission, said in March during an EU-US summit in Brussels. US shale gas could play a role in easing that dependency – but it’s going to be slow going, Clifford Krauss cautioned in an April piece in The New York Times. On the other hand, 3,000 workers are building a terminal that will send American natural gas around the world by the end of next year. By 2017, the Cheniere Energy facility could handle roughly one-sixth of the gas that flows from Russia to Europe every day. “Cheniere’s Louisiana terminal may not be Europe’s immediate rescuer, but it does exemplify a revolution in the global gas market that promises to help Europe,” Krause said. Whether Europe moves toward producing its own shale products or simply makes the most of its newfound negotiating power in the global market, it’s clear that the US shale revolution is having an impact across the ocean. It’s fascinating to see the impact U.S. shale production is having overseas, even now, before the U.S. has even started exporting LNG on a large scale. I wonder if articles like this – http://www.desmogblog.com/2014/03/04/view-europe-america-s-shale-boom-looks-more-blip – keep Europeans from accepting fracking or lifting regulations. Maybe they feel that’s what’s going on here is not a big deal, so why try to replicate it? We hear a lot about how great shale resources are here at home — it’s exciting to think that it benefits other locales, too, even when said locales aren’t really producing their own. But is Europe really on a path to decreased energy dependence, or just shifting their dependence toward the US? That’s a good question Erin. I guess it remains to be seen where Europe will get its fuel from in the future. I may be wrong, but wouldn’t a lot of it have to do with shipping issues? Seems like it’s cheaper to get oil from your neighbor than from across the pond, right? Anybody know about that? Carissa: I’d totally agree with you… But if that were the case, why don’t we just stick with Canadian crude and cut out our Middle Eastern suppliers entirely? There’s gotta be so much more to the equation. The gas demand in Europe dropped by 54bcm for the last 3 years because of the renewables and coals. That should provide Europe with enough options to replace the gas from Russia in short term. Shale gas could be a long term option. Carissa, I think US natural gas will be so much cheaper to buy than that from other countries that Europe and Asia will want to buy from us. Perhaps a future blog from this web site will address this topic. I for one would like to know. 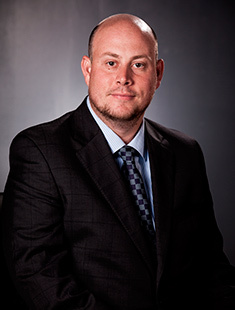 Kenneth Medlock III is the James A. Baker, III, and Susan G. Baker Fellow in Energy and Resource Economics at Rice University’s Baker Institute and the senior director of the Center for Energy Studies, as well as an adjunct professor and lecturer in the Department of Economics at Rice University. He is a principal in the development of the Rice World Natural Gas Trade Model, aimed at assessing the future of international natural gas trade. He also is the vice president for conferences for the United States Association for Energy Economics (USAEE) and previously served as vice president for academic affairs. Medlock has served as an advisor to the US Department of Energy and the California Energy Commission in their respective energy modeling efforts.